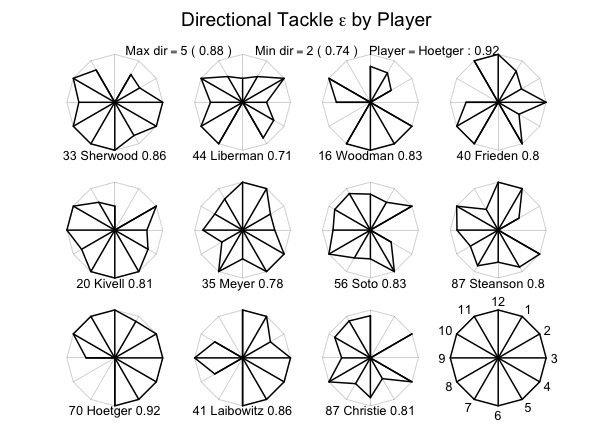 Used together, the clock face metaphor and polar coordinate plots provide an intuitive framework for analyizng directional tackle data. The article includes example tackle data and graphics as well as R code for generating the plots. Please check out the article and leave feedback so we can refine the approach.